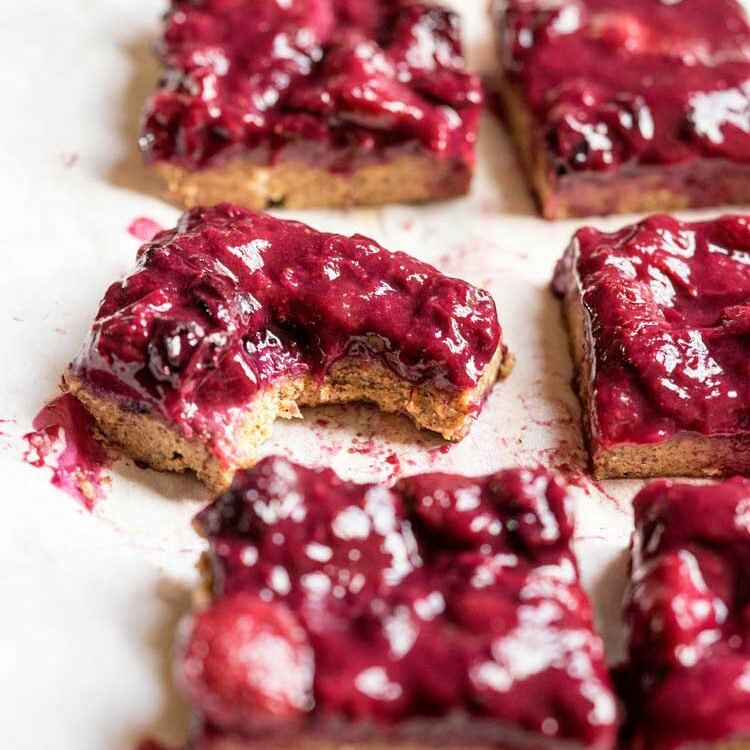 These Lemon Berry Streusel Bars couldn’t be easier to make and are the perfect with your breakfast coffee, as an afternoon snack or dessert. 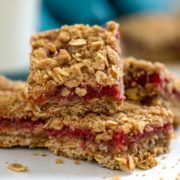 Made with pantry staples and fresh berries, its oat base also is the crumbled streusel topping. It’s been raining like mad lately which leads me get into the baking mood as it also heats up the house. Win, win. With a bounty of strawberries on hand I opted to make something to utilize them besides in my breakfast smoothie or with cottage cheese and nuts. 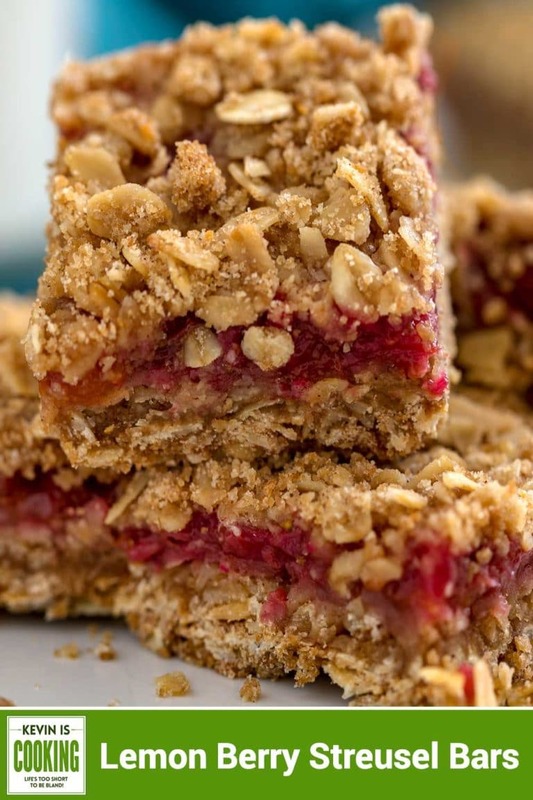 These berry streusel bars have a wonderful brown sugar cinnamon and oat streusel topping that does double duty and is the base for the diced strawberries and preserves. 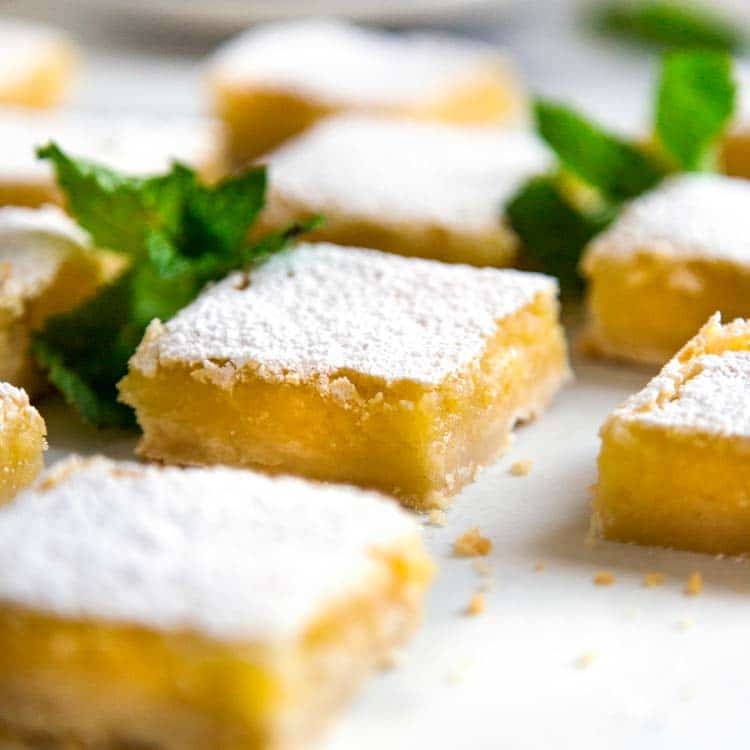 I add the zest of half a lemon to brighten things up and these are perfect anytime. Enjoy! 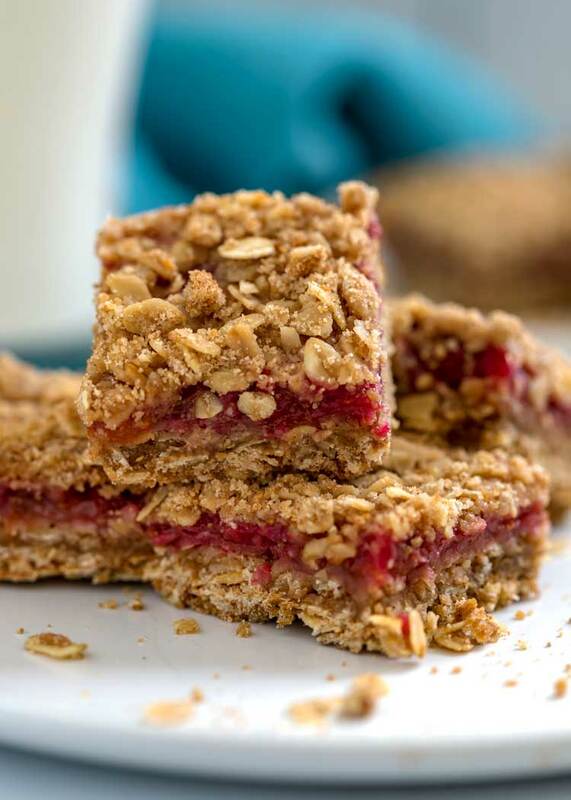 These Lemon Berry Streusel Bars couldn't be easier to make and are the perfect with your breakfast coffee, as an afternoon snack or dessert. 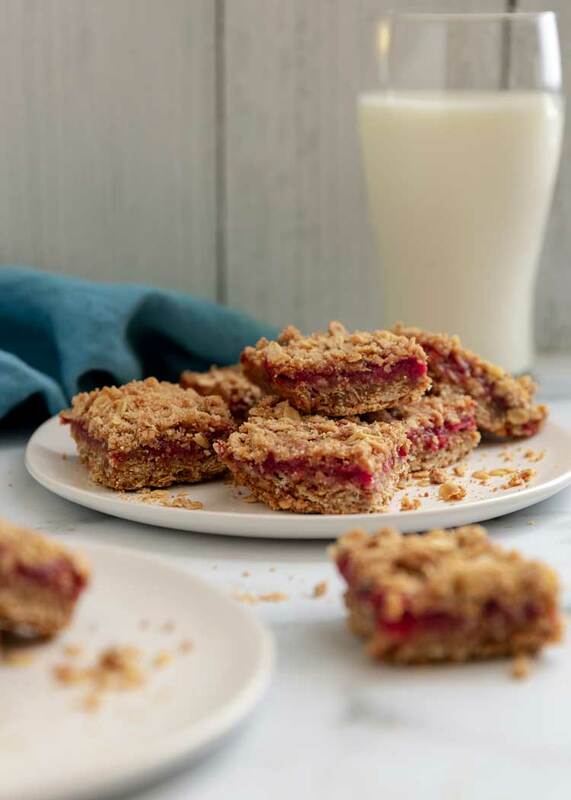 Made with pantry staples and fresh berries, its oat base also is the crumbled streusel topping. Adapted from Eating Well. Preheat oven to 350°F. Line an 8-inch-square baking pan with parchment paper, leaving overhang on sides. Combine the oats, brown sugar, flour, baking soda, cinnamon and salt in a large bowl. Stir in melted butter and vanilla. Toss to mix and coat all into a crumble. Press 2 cups of the oat streusel into prepared pan. Save the balance for the topping. Bake for 20 minutes. 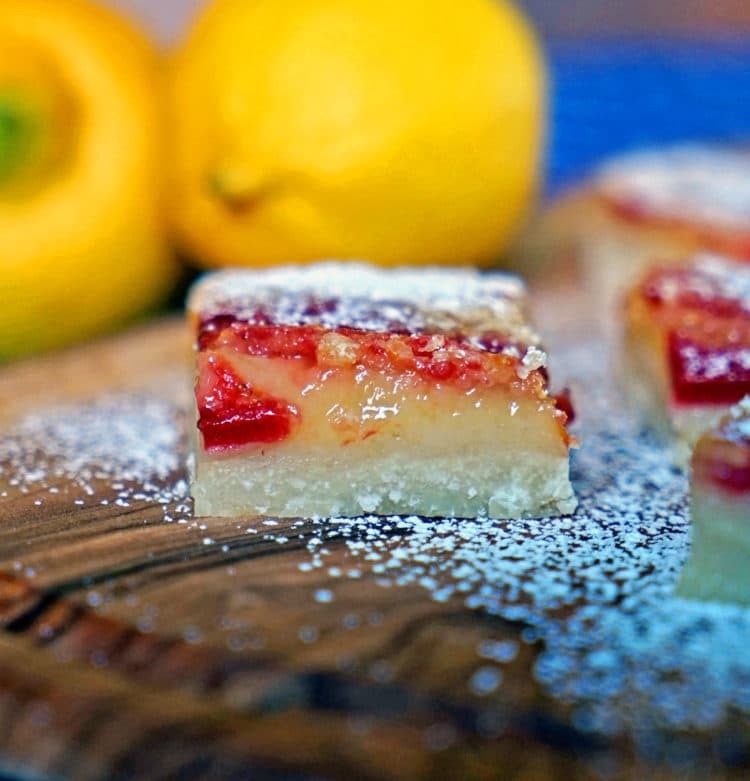 In a medium bowl mix together the strawberries, preserves, granulated sugar, zest from half the lemon and cornstarch. Spread the mixture evenly over the baked crust. 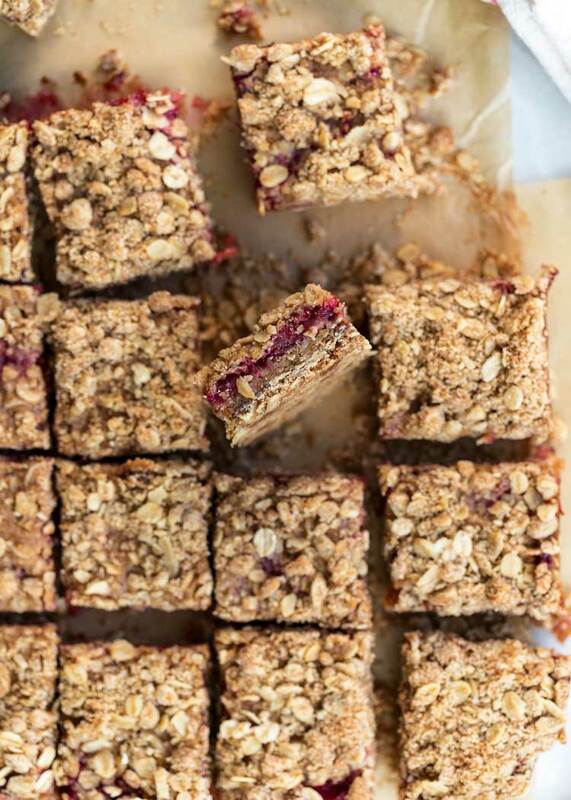 Sprinkle the top with balance of oat streusel. Bake until the top is golden and the filling is bubbling, 35 minutes. Transfer to a wire rack to cool completely, about 1 hour. Cut into 16 bars. Rainy days are perfect for baking! These bars looks delicious, Kevin! 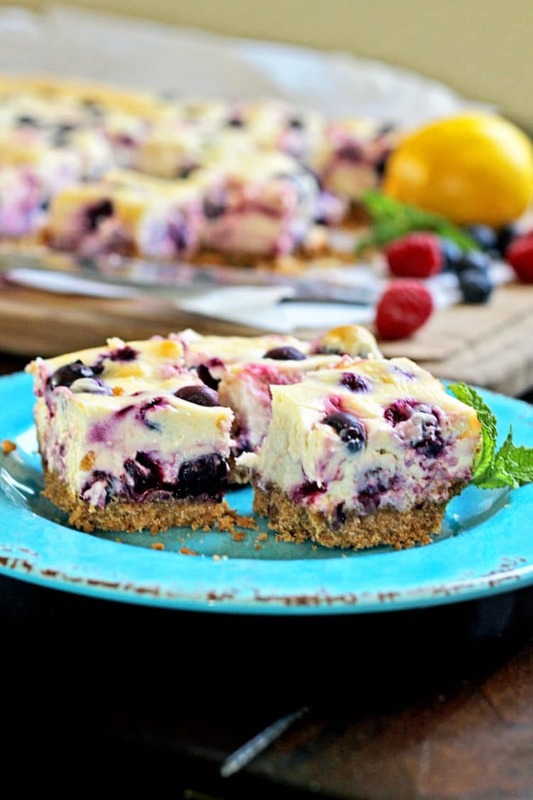 Love the combination of sweet berries and lemon zing!